What Makes Fundamentalism So Appealing to So Many? Fundamentalist religions are known for intolerance, for demanding strict adherence by followers to a religious text, for requiring individuals to place more value on the religious community than on their own individuality. Why are such religions growing in appeal around the world, and why do so many Americans flock to them? Fransson says he was a troubled teenager. He’d gone through his parents’ divorce as a child, and was a victim of domestic kidnapping when he was a boy and his father spirited him away to Sweden. “My mother was an alcoholic who later abandoned me and by my teen years, I’d experienced unhappy homes and homelessness. I was doing drugs,” he says. 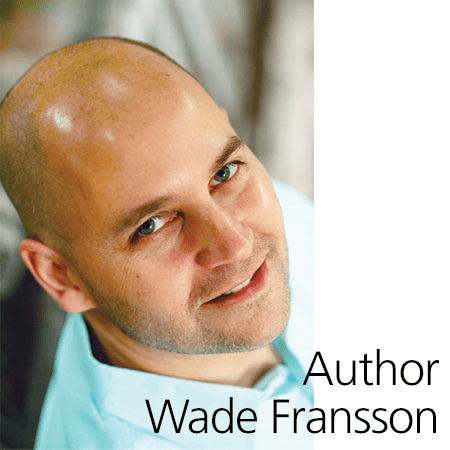 Fransson’s father had joined the Worldwide Church of God when Fransson was a child. Started by Herbert Armstrong in 1934 as the Radio Church of God, at its peak, the church’s teachings were broadcast to millions of viewers and listeners through “The World Tomorrow,” a program that aired on more than 446 television and radio stations. Fransson grew up learning about God through Armstrong’s prism. Until, he says, he learned that not everything the church taught was true. Do you think more people today feel a need to find “the truth” than in the past? Are there good things you took from your time with the Worldwide Church of God? How did you learn that not everything the church taught was true? Are you still on a search for truth? Wade Fransson manages technology vendor negotiations and contracts for Kohl’s Department stores. He has a background in business and technology for major corporations and was the CEO of GoHuman, Inc. online marketplace. In “The People of the Sign,” he shares his story to show both the positives and negatives of one of the most fascinating churches born in the 20th century. His second book scheduled for publication in October. 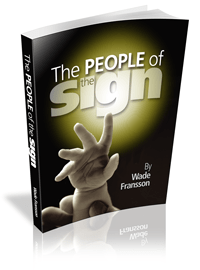 At its core, The People Of The Sign is a personal memoir that ends Jonah-like, incomplete, examining the wreckage of the author’s decades of life spent in the Worldwide Church of God and explaining to a larger audience the general theological, psychological, and political markers of that group. The account is gripping, dramatic, and remarkably free from bitterness given the great deal of suffering that many families had to deal with during and after their time with the Worldwide Church of God. The author provides a relatively sympathetic view of the organization in an accessible way that will do much to counter a great deal of the misinformation that exists about the group while presenting at the same time a warts-and-all view of the all-too-human realities for children and young adults within the greater Church of God culture, including the particularly poignant way in which broken families and broken people were summarily abandoned by a lack of loving concern by leaders of all different theological and political viewpoints. The author shows a grim awareness of a church culture that shoots its wounded, a culture I know very well from my own personal background. The author’s portrayal of his life as a kidnapped child growing up in Sweden, his youth as a rebel, his young adulthood as a gung-ho believer, and his increasingly difficult attempts to chart a moderate course in the post-HWA world of the Worldwide Church of God read like the screenplay to a movie, and chart the wreckage of broken families, struggles against alcoholism and workaholic tendencies in an atmosphere of brutal conformity and a general lack of love and concern for others, and where the hope of peaceful and gentle releasing of the strictness of WCG’s past turned into the horrible abuse of unwelcome and unbiblical doctrinal change that divided Worldwide and scattered its bitterly squabbling fragments into a shocked world. The openness and honesty of this work should appeal both to people who grew up in the Worldwide Church of God and whose ugly and brutal downfall in the mid-1990’s has forced us to wrestle with the complexities of our inheritance from that organization and its leaders as well as those who are curious about reading an insider’s look at the church. Both those driven to understand and explain what happened in the Worldwide Church of God will find this book to be a valuable aid to their efforts. This does not make the book pleasant reading–it is not, but then again what has happened to many of us, even those of us who have worked hard to overcome any “root of bitterness” (to use a catchphrase of WCG) about our experiences there, was not pleasant. Nonetheless, those experiences were instructive, and the gentle hand of God was present in His providential care even in the darkest moments. This book is a reminder not only of the suffering that results from human frailty, but also the gentle hand of God in guiding us graciously to growth and maturity, forgiving us for our own human frailty and telling us to forgive others for their own also. Hopefully, this book may help encourage those of us who are people of the sign (namely, the Sabbaths) to also become people who exhibit godly love for others, whether within or outside of our splintered fellowships. Wade’s story is beautifully written and is easily interpreted as one of courage, success and triumph As someone who was born into the WCG, I truly appreciated his factual, non-critical approach to deciphering the life he was born into. I have no doubt, his “story” then, now and future will continue to inspire and connect with all of humanity. Looking forward to reading the next chapter.